As a major hub in the heart of the southeast United States, Charlotte is a bustling metropolis in North Carolina's Piedmont region. CNN ranks The Queen City among the top 10 booming United States towns, while Penske Truck Rental ranks it among the top 10 moving destinations. The city is a thriving financial center with plenty of cultural and recreational attractions to keep its residents occupied. 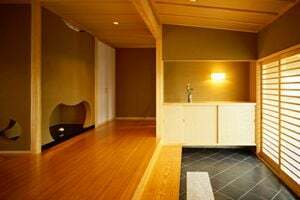 Homeowners living in Charlotte have many flooring and carpeting businesses to choose from, making it easy to find a company that works with the desired flooring type. Knowing what to look for in a company, and what to expect regarding cost, helps make it easier to make important flooring decisions. From hardwood to tile and vinyl to carpet, Charlotte homeowners have varied options. Plaza-Midwood — The Plaza-Midwood neighborhood offers its residents the best of small-town charm and hip city life. This historic neighborhood began as a streetcar suburb in the 1920s. Today it is arguably one of the best neighborhoods for unique shopping and restaurants. Morningside — Locals enjoy the historic feel of the Dilworth neighborhood, which is listed on the National Register of Historic Places. This charming streetcar suburb features tree-lined streets and plenty of shopping and restaurants. NoDa — As Charlotte's version of Manhattan's SoHo, the NoDa, or North Davidson Street, neighborhood is the bustling center of the city's arts district. An eclectic mix of neighbors and walkable streets and a diverse selection of attractions make NoDa a go-to neighborhood for many Charlotte residents. Midtown — Midtown combines gorgeous green space with diverse shopping options and fabulous restaurants. Residents of this up and coming area can walk to many spots, including the Sugar Creek Greenway, which offers stunning city views. The type of flooring homeowners choose for a company to install or repair is one of the major factors in determining the price of flooring job. Other factors include square footage and the extent of the project. The following table lists some of the most common services along with a price comparison that looks at how local prices generally compare to the national average. As this table demonstrates, residents can typically expect to pay less than the national average for many common flooring tasks. Although the average price for carpet installation is higher than the national average, the installation could range anywhere from $500 to $5,000. Flooring companies in Charlotte must obtain a business license from the Charlotte-Mecklenburg County offices at the Hal Marshall Center's Business Tax Collections Office in order to operate. Additionally, businesses that have employees must register with the North Carolina Employment Security Commission. Businesses must renew the license and pay fees every year. The fees for this license, also known as a privilege license, range from $50 to $10,000 depending on the business's gross receipts. Charlotte flooring businesses also need to have insurance, including general liability insurance, to protect the business from potential lawsuits. Other forms of necessary insurance include property insurance and worker's compensation. Optional certification with the International Certified Flooring Installers Association can provide a competitive edge. Certified workers have demonstrated the highest level of skills in work tasks ranging from actual installation to dealing with customers. Flooring and carpeting play a primary role in the way a home looks and feels. Combining form and function, flooring gives homeowners a surface to walk, lounge, and play on in addition to completing the homeowner's desired aesthetics. With that in mind, Charlotte receives higher-than-average precipitation levels at more than 40 inches per year. Winter snow and summer storms are not uncommon; as a result, homes with easy-to-manage laminate, tile, or hardwood flooring tend to command higher prices than those with carpeting. Although picking a type of flooring can be challenging, finding a flooring company shouldn't be difficult. Charlotte has many flooring businesses to choose from, making it easy to find a licensed and insured business to get the job done to the highest standards. Comment: I would like an estimate on a flooring job. 1150 SQ job. I have the material. Charlotte Flooring & Carpet Contractors are rated 4.77 out of 5 based on 1,180 reviews of 65 pros. Not Looking for Flooring & Carpet Contractors in Charlotte, NC?